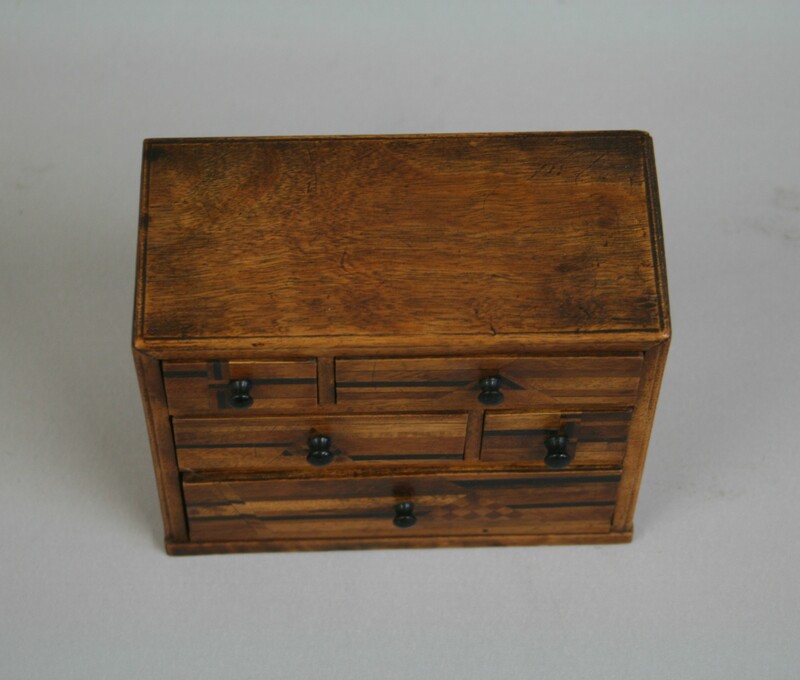 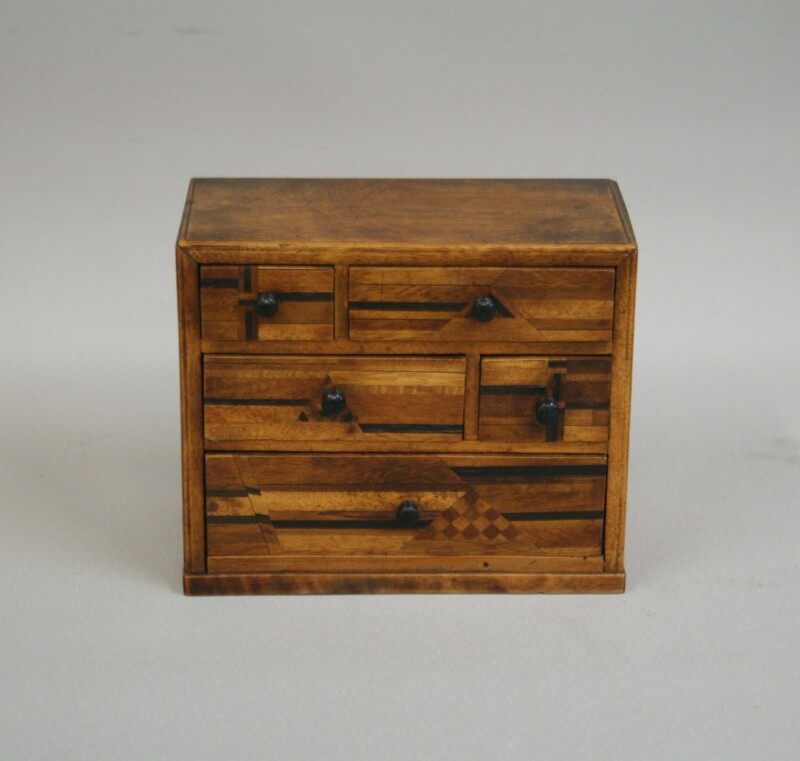 A Japanese marquetry miniature chest with five graduated drawers. Each drawer has a turned knob handle. 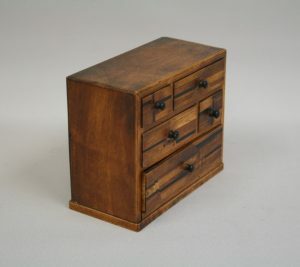 It stands on a plinth base. This product is available for sale at Williams Antiques serving Bedfordshire, St.Neots and Cambridge.